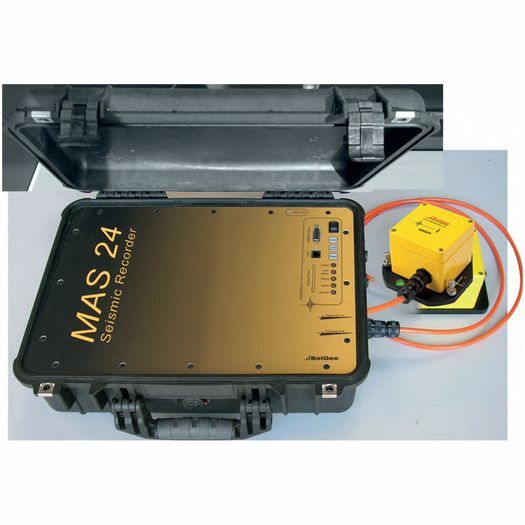 MAS24 Micro Seismic Recorder is a high resolution integrated unit (24 bit sampling and dynamic >130db) with 3 or 6 channels (up to 5 monoaxial or 2 triaxial accelerometers). 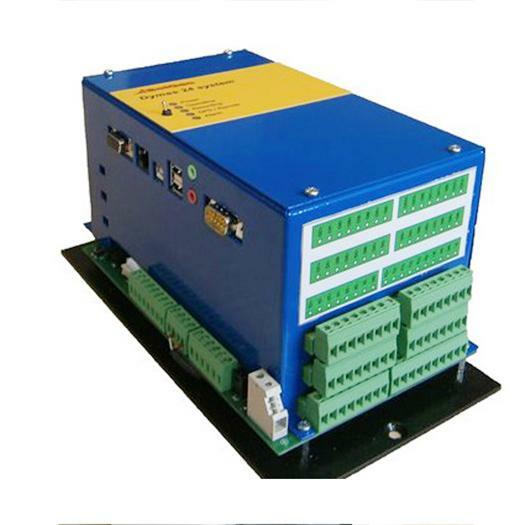 The motion vibration acquisition unit fulfills standards DIN45669, DIN4150-3-1 and UNI9916. 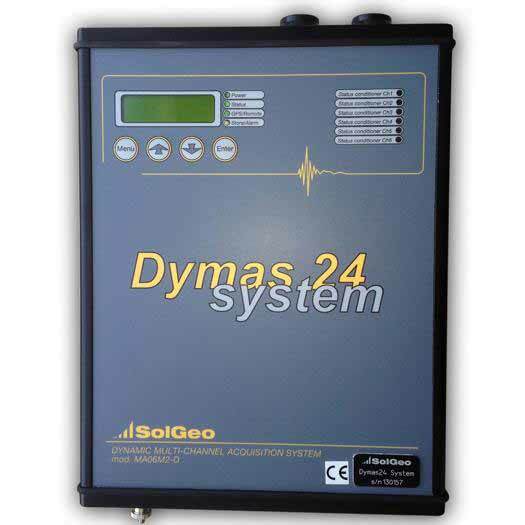 Dymas 24 Seismic Recorder is used for both Micro seismic & Vibrational studies. Its characteristics make it suitable for monitoring of civil and industrial structures or for natural or anthropic seismic monitoring. Software packages for communication and configuration EDAXSOFT, data processing and visualization VIBROSOFT are also supplied. The unit in addition to recording signal in case of event, stores minimum and maximum values for all channels. Event Memory Standard on Compact Flash memory card scandisk with 512MB, (optional with memory card since to 2GB. Fat 16 formatting directly readable by PC. Logging Parameters Selectable via software: length post trigger, min length and max length single registration . Registration in sequence up to fill available space or circularly. Channel Trigger Sta/Lta, Soglia/STA, Independentt threshold for each channel. Mode STA/LTA con ration independent of Trigger/Detrigger and partial Lta during event block. Weight of trigger and detrigger. Trigger Filters Type Butterworth 6 dB/eight type high pass, low pass, band-pass or switchable step fixed via software. Possibility of transmission signal continues even after the filter. Trigger Independent threshold triggers/Detrigger sum of weights of individual channels. Time reference Absolute reference internal synchronized time and sampling pegged to reference by GPS satellite network, internal, external antenna receiver with cable length of 3 meters. Synchronization network of aquisitor Sampling synchronization by GPS satellite network, maximum error 10 microseconds. Trigger recording synchronized via cable connection. Version available with registration activation time. Ancillary Measures Supply voltage, temperature internal and two external sensors. Transmission Format Communication protocols for sending alerts via SMS, unloading events via analog or ISDN modem, ADSL, GPRS, GSM, via internet/Lan, Even wireless (option). Continuous transmission signal formats 24 bits (3 and 6 channels) and 20 bis (type a, b or c). Data transmission format INGV, NETPAK, CERPAK.